The Beat Within (TBW) provides incarcerated youth with consistent opportunity to share their ideas and life experiences in a safe space that encourages literacy, self-expression, critical thinking skills, and healthy relationships with adults and their community. We value compassion with accountability, and the power of the written word to heal and flourish. Outside of the juvenile justice system, The Beat Within partners with community organizations and individuals to bring services to youth both inside and outside of detention. We aim to be a bridge between marginalized youth and the community that supports them in progress toward a healthy and productive adulthood. 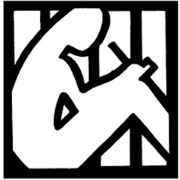 The Beat Within (TBW) is a non-profit magazine of writing and artwork by and for incarcerated youth and their community members. Based in San Francisco, we host writing and conversation workshops in juvenile halls across the nation, with our strongest presence in Bay Area counties. Our magazine is composed of writing produced during workshops, and is printed on a bi-weekly basis to return to the youth we work with. Would you recommend The Beat Within?